From 7 to 9 Kg. 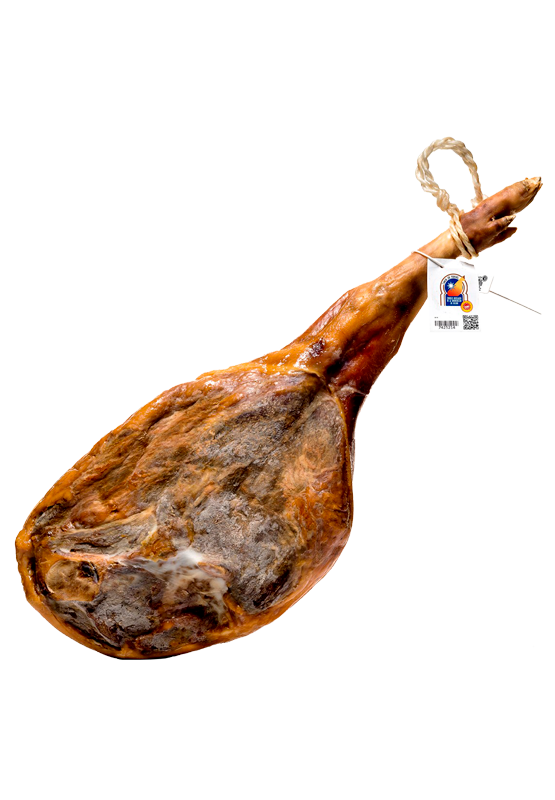 Our star product is Ham with protected designation of origin (PDO), "Jamón de Teruel (Teruel Ham),” prepared and cured in our very own drying room. The Designation of Origin sets strict standards for preparation, including minimum curing time of 14 months. After this curing time has passed, it is hot-stamped with an eight-point star on the rind by the Regulatory Board, thus guaranteeing its excellent quality, curing and origin, which is controlled by said Regulatory Board. At ROKELIN, we don't settle for this curing. To achieve even greater quality, we demand an average minimum curing period of 18 months of ourselves. This gives us a much more intense flavour and aroma. We manufacture our hams based on traditional standards, all while applying the most cutting-edge technology to attain the highest traceability and food safety standards. All our hams are naturally salted one-by-one, and dried naturally, without exception, with an average curing period of 18 months. A quality reference for products in Teruel; their production, distribution and service in restaurants.